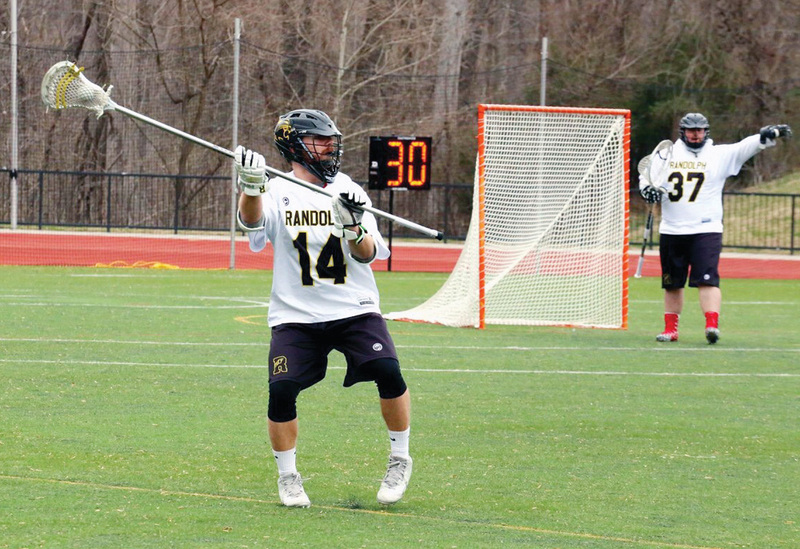 Eric Gulbronson on the field at Randolph College in Lynchburg, Va. This is the first installment in what we hope will be a weekly feature here in the Coastal Point sports pages: “Where Are They Now?” We are looking for former Indian River High School student-athletes who have gone on to continue their scholastic and athletic careers at a college or university, or maybe they’ve even graduated from the college or university and are now doing some interesting things in their lives. This week, we are catching up with former Indian River boys’ lacrosse player Eric Gulbronson, who graduated back in 2016. The Fenwick Island resident is the son of Kyle and Chris Gulbronson. Gulbronson will be entering his junior year at Randolph College in Lynchburg, Va., this fall. He plays defense for the Wildcats’ lacrosse team. He is a double-major in history and museum studies, with an art history minor. This summer, he is doing an internship at the Fort Miles Museum at Cape Henlopen State Park, and he said he hopes to one day work at the Smithsonian. This past season, on the lacrosse field for Randolph — a small Division III school — Gulbronson played in 17 games while starting in 14 of them. He scooped up five ground balls and caused 10 turnovers on the season. In a game on April 23, he caused five turnovers and two ground balls. He also moved into a tie for the school’s sixth all-time for most caused turnovers/takeaways in a single game. At IR, Gulbronson was named to the All-Henlopen Conference Second Team his senior year. He helped the Indians record first-time program wins over powers Delmar and Milford, while also leading the team to its highest seed in the state tournament in program history. If you know someone that should be featured in this weekly spot, contact Jason Feather at jason.feather@coastalpoint.com.